We have made a zip archive with high quality pictures for use in magazines and press press.zip. 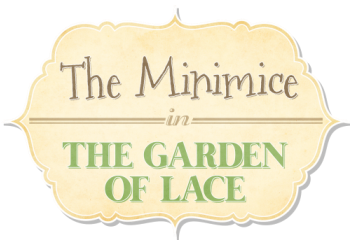 These pictures can freely be used in articles about The Minimice in The Garden of Lace, both printed and online. All pictures © Object Production AS. Hjemmet Article in Norwegian about the author, her books and her miniature world. Downloadable PDF. Nord Jyske Article in Danish about the release of the new book at The Miniseum in Mariager. Budstikka Article in Norwegian about the author and the new book. With 9 pictures from her work room.